With its low price tag and high-quality service, you can't help but be impressed with what the Luton airport Aubrey Park Hotel in Redbourn, St Albans has to offer. 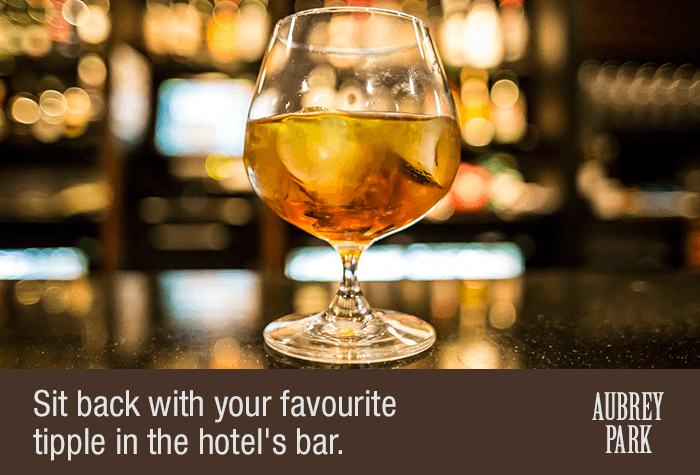 A sentimental scene of old-world charm, Aubrey Park hotel (formerly the Hemel Hempstead Ramada hotel) is a wonderfully-romantic spot for those who want to get away from it all, without blowing the holiday budget. Nine miles away from Luton airport, it isn't even in the town of Luton itself, so this isolated spot feels like a mini-break before you've even left the country. Don't worry about expensive fares to Luton airport; the Aubrey Park Hotel will pay for your taxi to the terminal. The hotel was very good, and the food was great. The car park worked smoothly with transport picking us up from both ends with minimum delay. The only fly in a great ointment was that when we return to our car the exhaust rear silencer was on the floor under our car. We had not read the ticket ( it was 4am ) and only noticed when trying to drive off. All went smoothly. The hotel was great. Excellent quality considering its 3 star rating. We really were very happy with it and with Holiday Extras staff. 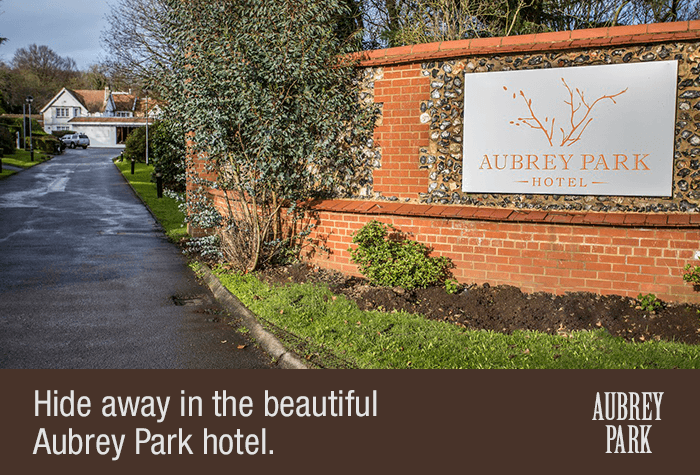 Our customers rated Aubrey Park Hotel on average 8/10 (236 reviews). 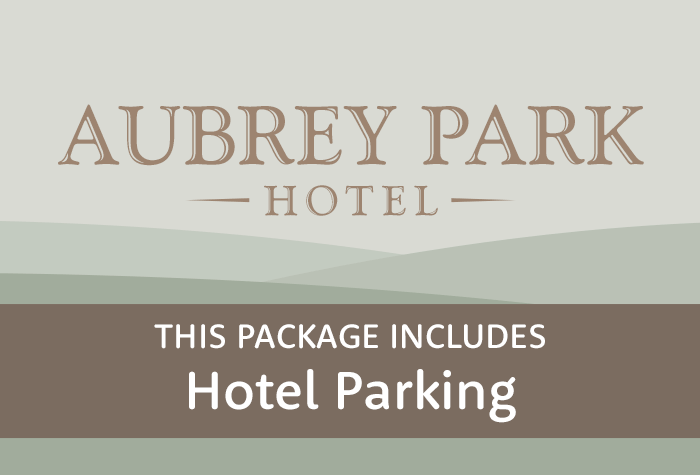 Read Aubrey Park Hotel reviews. With its rural surroundings and charming setting, youd be surprised to learn that this hotel is only 15 minutes from the airport. To reach the airport you can take a taxi, which reception will be happy to book for you. The journey will take around 15 minutes to reach the terminal and its included in the price. On the way back youll have to pay. Parking at the hotel is included in this package. 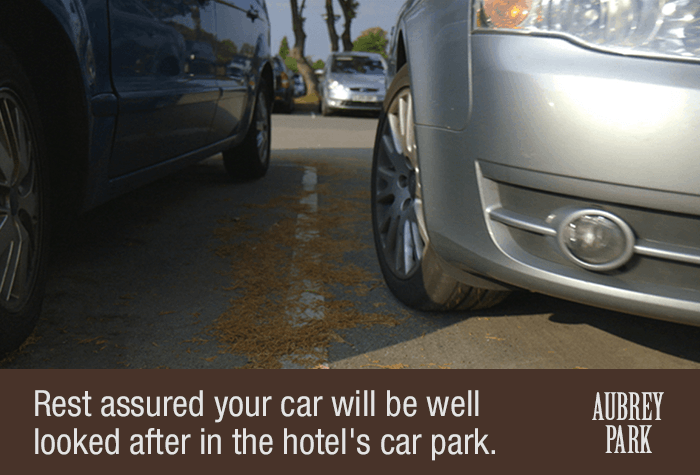 Park in the hotels car park and your car will stay there until your return. 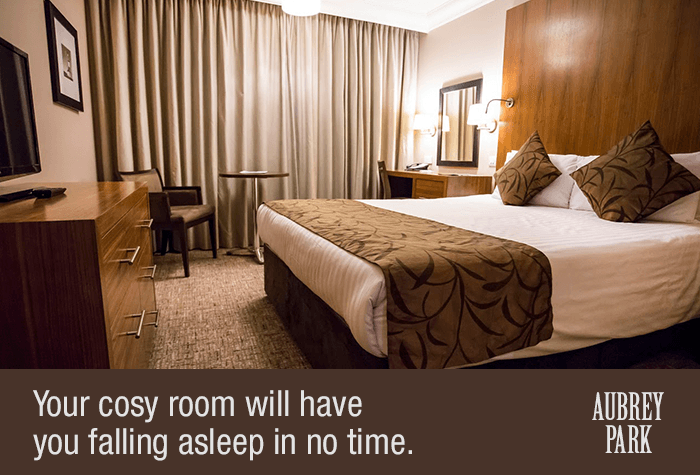 Please note standard rooms cannot accommodate cots. 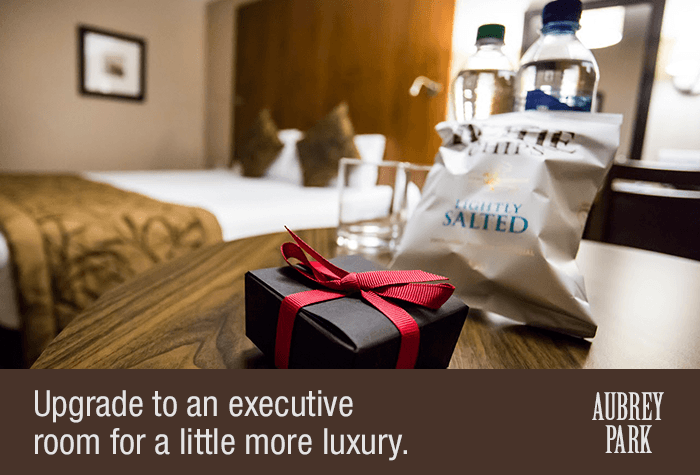 If you require one you'll need to upgrade to an executive room for £25. 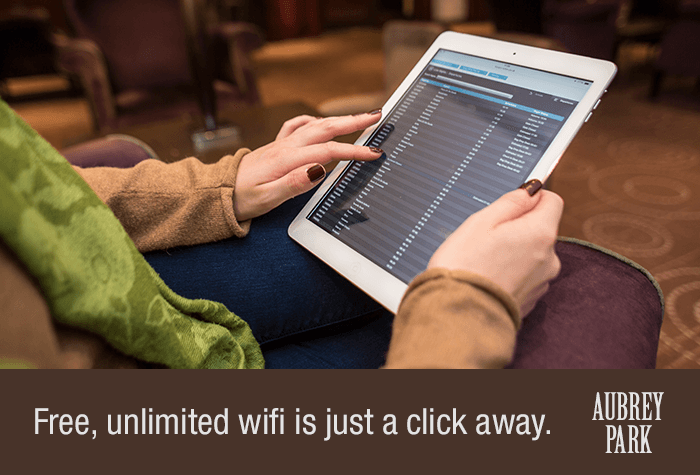 Wifi is free throughout the hotel, and you can use it in your room too. The hotel has a limited number of accessible rooms. 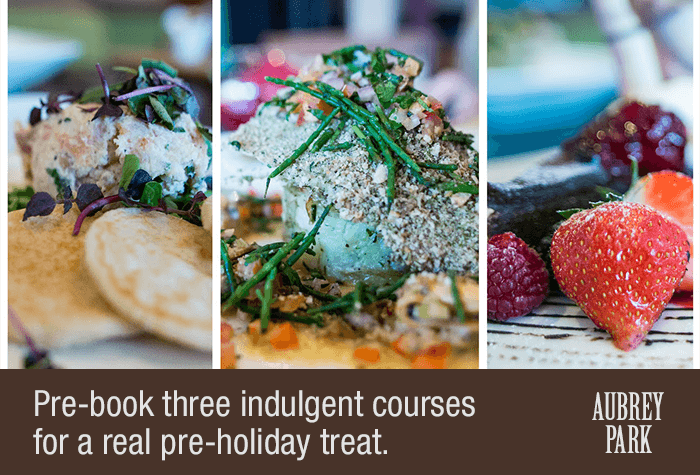 If youd like one, give us a call before you book. 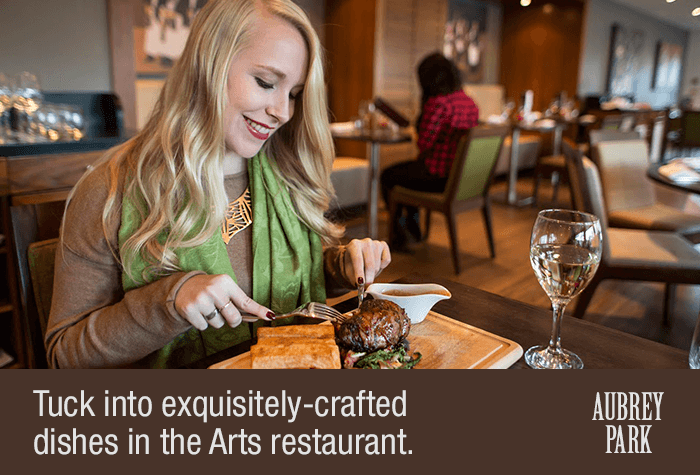 The Brasserie restaurant serves a great choice of tempting meals, from pan-seared duck to burgers and salads. Dinner served 6pm - 10pm, Mon - Sat. 6pm - 9pm, Sundays and bank holidays. If youd prefer something more casual then you can dine in the bar and lounge, where you can also enjoy fresh coffee or cocktails, depending on your mood. 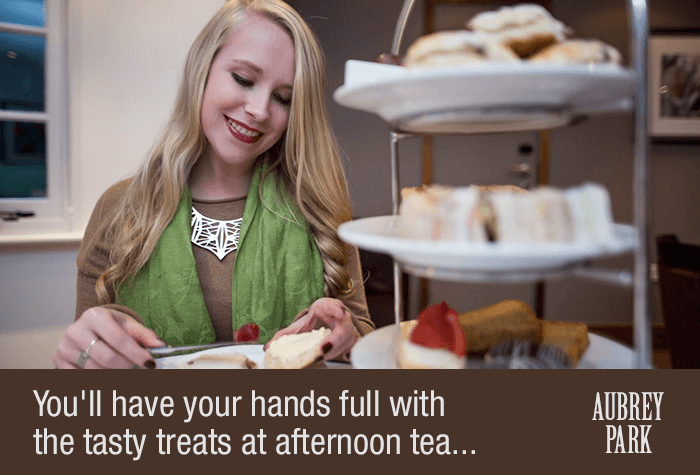 An indulgent afternoon tea is available here too, which you can jazz up with a glass of bubbly. 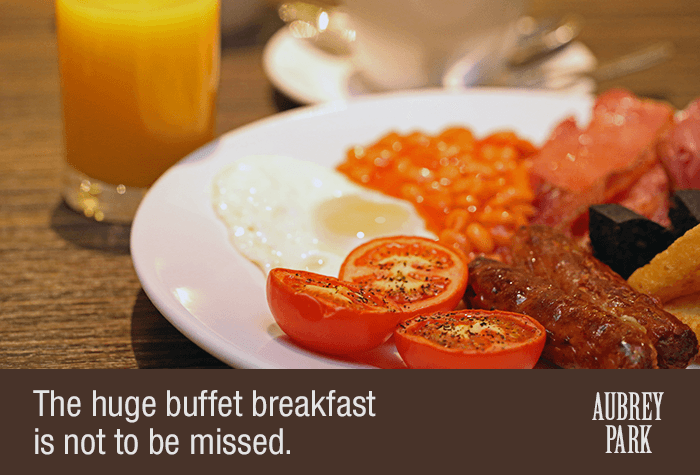 Breakfast is a hot buffet with a selection of full English and continental items. Breakfast served 6.45am - 10am on weekdays. 7.30am - 10.30am on weekends and bank holidays. Due to the ongoing redevelopment works at Luton airport, your journey from the hotel to the airport may take longer than normal. We'd recommend you allow an extra hour to get to the airport particularly at peak times. Disabled facilities Three rooms are adapted for disabled guests. Drive to the hotel. Well give you full directions in your confirmation email. Park your car in the hotels car park and check in. Your car will stay where you leave it until you get back. When you arrive ask reception to book you a taxi for the day of your flight. Its included in the price and should take around 15 minutes to reach the airport. Youll need to pay for your taxi back to the hotel on your return. After you land take a taxi back to the hotel the fare should be around £25. You car will be right where you left it when you get back. Overnight parking is free in the hotels car park. Drive to Airparks on the morning on your flight. When you reach the car park find a space in the arrival lane. Remember to take note of your lane number. Check in using one of the self-service machines, and youll be given a ticket which you need keep hold of until you return. Youll also receive a tag which you need to attach to your keys. The shuttle buses back to the car park leave from bay R. You'll need to show the ticket you were given at check-in to the driver. Once youre back at the car park, head to the check-out shelter and follow the instructions on the key dispenser it will return your keys and tell you where your car is parked. Park in the Multi Storey car park in the Off-site Meet and Greet area - youll need to press for a ticket at the barrier. Pull into a bay and hand your ticket to the Swift Meet and Greet driver. Theyll move your car to a secured car park. Follow signs to the terminal - its about a 5-minute walk. Call the car park while youre waiting for your luggage - the number to call will be on your booking confirmation. Your driver will bring your car back to the Multi Storey car park while you make your way outside. 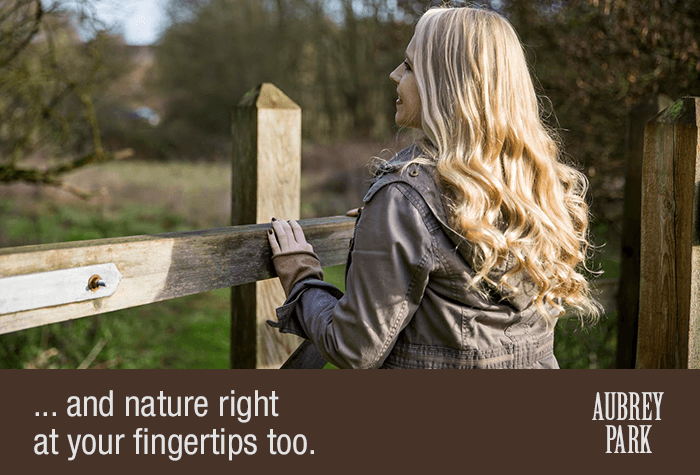 Walk to where you were met on arrival, in the Off-airport Meet and Greet area where your driver will be waiting with your car and keys. Well give you full directions to the hotel in your confirmation email. Drive from the hotel to ShortRun, 15 minutes away. When you arrive at the car park simply park outside the check-in building and unload your luggage. Head inside and a member of staff will check you in and take your keys. Youll be given a ticket which youll need to keep for your return. When you return give the car park a call and theyll arrange for the bus to come and collect you. Then hand in your ticket, collect your keys and pick up your car. Around 20 minutes before you arrive, you'll get a call from Drivefly to check you'll be on time. Drive from the hotel to the terminal which takes 15 minutes. Your driver will be awaiting you, wearing an orange hi-vis. From there, make your way to the terminal - its a 5-minute walk. Once you have collected all your luggage, give Drivefly a call. The driver will deliver your vehicle to the agreed pick up point at the airport.